In this course, you will learn all major facets of animal biology. You will begin with studies of the mechanisms that generate and maintain biodiversity. Subsequently, you will discover animal diversity, broadly categorized as invertebrate and vertebrate diversity. Finally, you will study a select set of body systems, discover the interdependence of different animal groups, and become familiar with the urgent need for animal conservation. 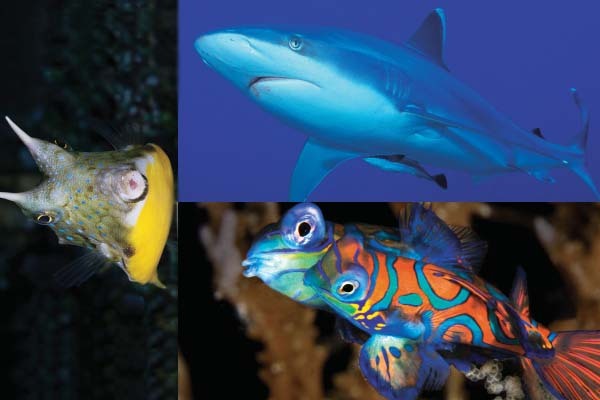 Fishes make up more than half of the 55,000 species of living vertebrates. Along with this remarkable taxonomic diversity comes an equally impressive habitat diversity (Helfman, Collette, et al., 2009). Major objectives of this course are to (1) help students to be familiar with the major families of fishes; (2) demonstrate knowledge of the anatomy, physiology, and behavior of fishes; and (3) understand fundamental themes in behavior and ecology of fishes. Recently, more and more biological research projects involve big sequence data, and the ability of managing and analyzing big dataset becomes essential. 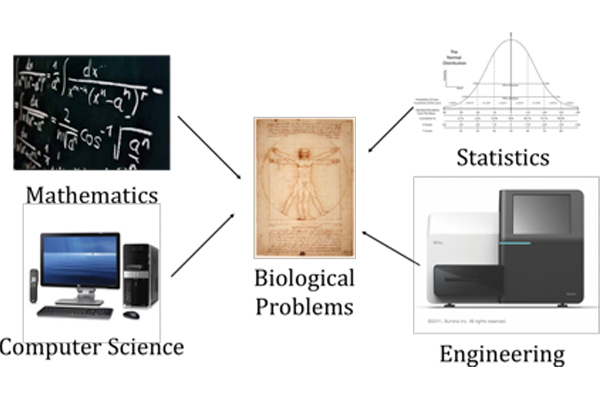 The goal of this course is to (1) help students to understand the algorithms behind various bioinformatic tools and (2) to apply different tools to solve real biological problems in their research. To foster an active learning atmosphere and to help the newbies in the lab to overcome the deep learning curve, we host a workshop on data analyses every year at the end of fall semester (usually around early January, exact date will be announced a month beforehand). 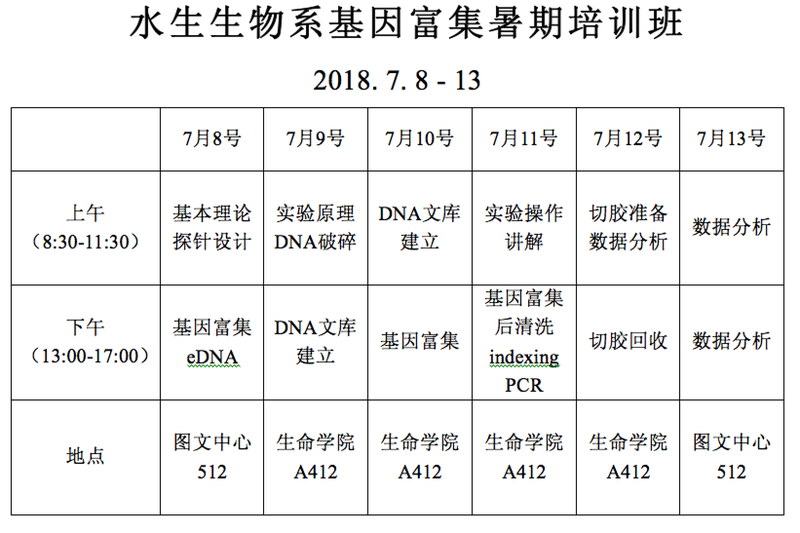 The topics will cover processing next-generation sequencing data, molecular evolution models, phylogenetic reconstruction, coalescent methods, biogeography, adaptive selection, etc. 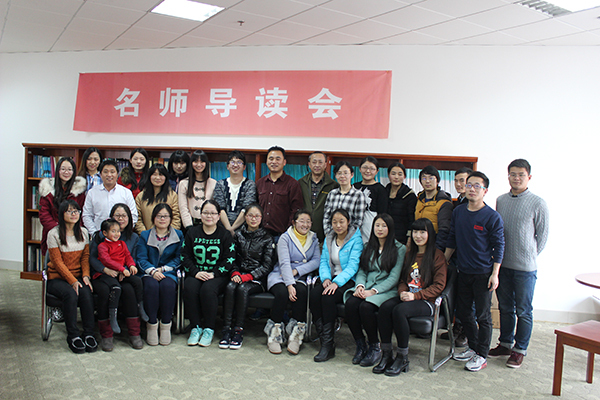 Both faculties and students will lead the talks and discussions. Everyone is welcome to join us. Gene capture, aka "target enrichment" is a useful tool in collecting partial genomic data for studying evolution of species and populations, and for comparatively studying gene evolution as well. In this session, we are going to learn the basic theory in finding the target genes, baits design and gene capture. Many useful tips from our lab experience will be shared. Upon completing the session, the trainees are expected to be equipped with basic knowledge and experience in designing a gene capture experiment and collecting data for their research. 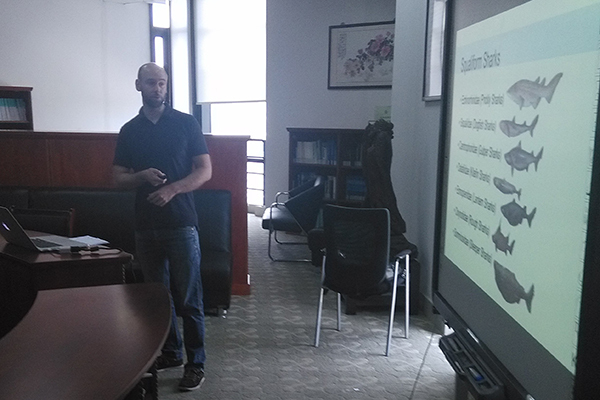 Each year, workshop is the golden period to accelerate learning, pick fundermental things up quickly. Seminar is held every week. Topics include but are not limited to molecular systematics, molecular evolution, biogeography, genomics, bioinformatics, etc.